There's a pretty good chance you now live in a state that's not so friendly to abortion rights. The latest report from the Guttmacher Institute found more than half of all U.S. states are hostile to abortion, with 18 of those states noted as "extremely hostile" hotbeds for anti-abortion restrictions. The abortion battle may be far from over in the United States, but one look at the data shows the anti-abortion movement currently has an edge in the fight. As we enter 2015, there are now more states that are hostile to abortion rights than those that support a woman's right to choose. The number of hostile U.S. anti-abortion states more than doubled since 2000, from 13 to 27. That means more than half of all U.S. women of reproductive age — 57 percent — now live in a state with diminishing or severely impacted access to abortion. This trend seamlessly correlates with the rising number of abortion restrictions being introduced and passed in state legislatures. According to the Guttmacher report, lawmakers at the state level introduced well over 2,000 provisions targeting either abortion procedures, abortion clinics or doctors since 2010. Out of these thousands of provisions, 231 of them were passed and enacted by various U.S. states. 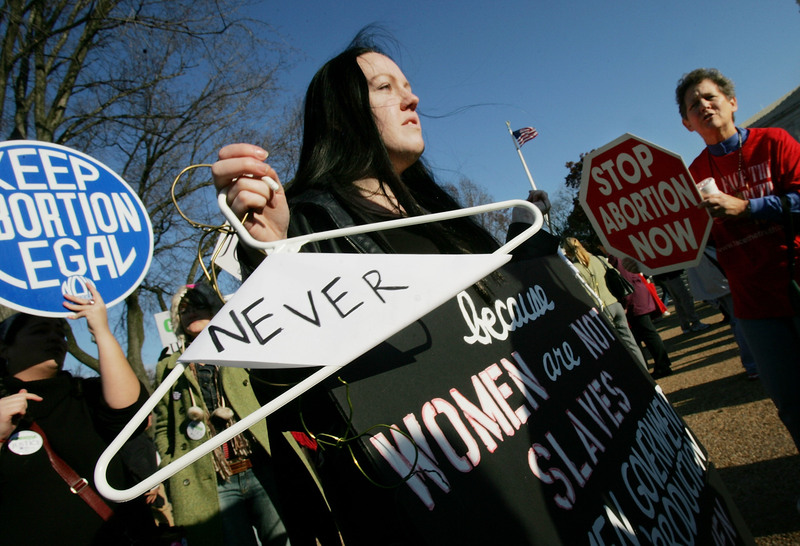 Yes, really — 231 new abortion restrictions in four years. However, not all states are created equal. Guttmacher researchers labeled 18 states that are "extremely hostile" to abortion rights — a number that has more than tripled since anti-abortion laws began sweeping the nation in late 2010. Most of "extremely hostile" states are located in the South and Midwest, where abortion clinics have been shuttering at an alarming rate. Mississippi, Alabama, Texas, Oklahoma, Nebraska and North Dakota are among the worst states for abortion access, the report states. Although the anti-abortion wave may be slowing down — just 26 anti-abortion restrictions were enacted at the state level in 2014, a considerable decline from previous years — it's not necessarily losing ground. With state legislatures prepping for their 2015 session in the coming weeks, we can expect more anti-abortion regulations targeting clinics and doctors to crop up in statehouses from Pennsylvania to the Great Plains. "Politicians are not medical experts, but politicians have written these laws with the ultimate goal of making safe, legal abortion hard or even impossible to access," Planned Parenthood Action Fund President Cecile Richards said Monday in a statement. "These laws actually endanger women." Richards added that in the coming months, Planned Parenthood will work with grassroots activists and supporters on the ground to not only curb anti-abortion legislation, but also "pass laws to expand access for reproductive health care and affordable birth control." Abortion rights were not just in jeopardy at the state level, but also faced recent opposition from U.S. representatives and senators who repeatedly tried to block abortion funding for Peace Corps volunteers and pass a 20-week abortion ban. Yet in Congress, 2014 was a good year for reproductive health, according to the Center of Reproductive Rights. The organization released a report on Tuesday applauding members of Congress for pushing back against anti-abortion and anti-health care bills. After years of primarily playing defense against radical proposals to deny women access to contraception, abortion, and other fundamental reproductive health services, the time was ripe to recapture the debate and focus with renewed energy on policies that promote equitable access to health care, support women and families, and prevent politicians and employers from interfering with personal decision-making. But women may experience a wild ride with the 114th Congress, which gets back to work this week. According to the Center for Reproductive Rights, some legislative battles we can expect from the chambers of Capitol Hill this year included the national 20-week abortion ban and a possible reinstatement of the so-called global gag rule, which bars overseas organization from using their funds to provide or even discuss abortion. If there was ever any doubt that reproductive rights in the United States were under attack, these two studies should at least provide some clear-eyed confirmation — and make you angry.